When traveling, I frequently buy a few bottles of the local wines and/or spirits, seduced by their unavailability in Chicago. Especially when the dollar was stronger, vinous ballast would accumulate in my suitcases until the handles buckled and the seams began to unravel. My greatest triumph was to return from Italy with no fewer than 13 bottles of hooch divided between my checked bag and carry-on. It was January 2002 — a dollar bought 1.15 euros, and you could bring as much liquid as you damn well pleased onto the plane. Blessed memory. Since then I’ve managed to bring my booze-buying addiction under control, partially through self-restraint but mostly through the depredations visited upon the U.S. dollar by noted economists George W. Bush and Barack Obama. I memorably escaped from Burgundy — Burgundy — with just six bottles, and more recently, I returned from Vietnam with one lonely bottle of snake wine. 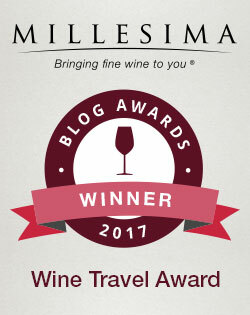 Despite my best efforts, I still have numerous travel treasures collecting dust on my wine rack, which is decidedly not temperature or humidity controlled. All too often, I allow the wines to moulder there too long, exposed to our non-air conditioning for years. Some troopers make it, but I’ve lost more souls than I care to admit. 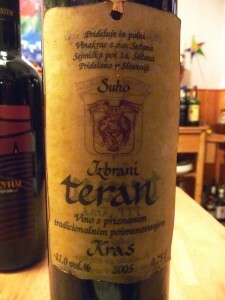 Most recently, I decided it was high time to uncork a 2005 Vinakras Izbrani Teran I’d found on a trip to Slovenia. It featured a charmingly old-fashioned parchment label and a cork sealed with red wax. I wanted to compare this Slovenian Teran to the Croatian Piquentum Teran I would shortly be sampling (read the Piquentum Teran post here). It wasn’t much of a contest. After grinding through the charming-but-frustrating red wax and extracting the cork, I poured a couple glasses of brick purple liquid. It smelled of metal, as many Terans do, but there was something else… Ah yes — dung. Feeling not particularly encouraged, I took a sip. I might as well have been sucking on a rusty iron ingot dipped in vinegar. I had waited too long. Half-soaked in wine (or whatever was now in the bottle), the cork had lost some integrity. What a shame! This bottle of wine, carried all the way from Slovenia, carefully stuffed inside three socks for protection during the journey, made it safely all the way to Chicago only to spoil on the rack. This wine died a gruesome death, but others have languished in my collection in silence, becoming weaker and weaker until their structure and fruit simply slips away. 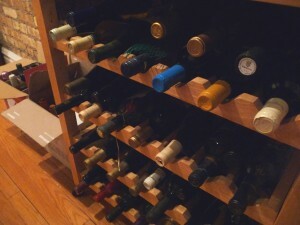 I resolved to clean out my wine rack and drink anything older than 2006 at the first opportunity. I encourage you to do the same. 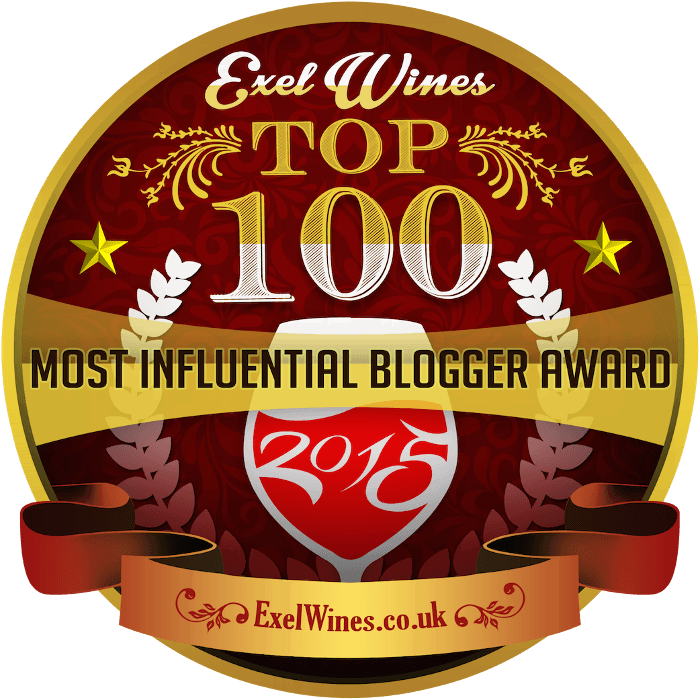 What good does that special wine do sitting on the shelf? Unless you have a dark, cool closet in your basement, most wines won’t thank you for aging them more than a year or two. Make a romantic dinner, go out to a nice BYOB restaurant or have an “Open That Bottle” party, as former Wall Street Journal wine writers Dorothy Gaiter and John Brecher liked to suggest. The wine itself is a celebration — don’t wait until it’s in the nursing home and too old to party. 2005 Vinakras Izbrani Teran: This wine was probably good at some point, but now it tasted of rust and vinegar and smelled of feces. Grade: I can’t fairly judge the wine, but I give myself an F for overaging. 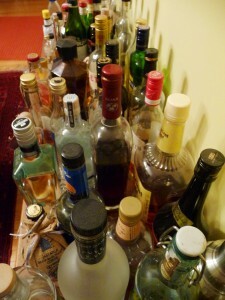 So what bottles have you been saving for a special occasion, and how did they end up in your collection? This post is brilliant! And how true– no point in spending money on good wine if you can’t appreciate it… a fair assessment of many things in life!